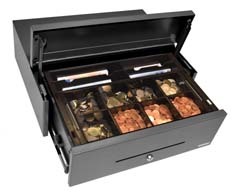 There is a fabulous till cash drawer range with something to suit all shops, pubs and bars. Cash drawers are a great way to ensure that money is safe and secure hidden away form view when making transactions at the till. These drawers can also help with efficiency in your business and as they are available in a range of sixes and layouts they can adapt to your premises, too. Business Reply can provide you with a till drawer for your till system, that will suit your business requirements. The range is diverse and can be used alongside most other EPoS equipment so if you only wish to add a different till drawer you can. As long as the connectors are the same as your old till drawer you can add another quite easily. We will advise you as to the best drawer options for your cash desk arrangement and till set up in situ. 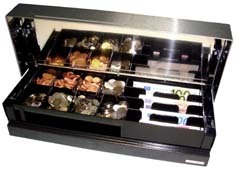 Cash drawers are available in many sizes from mini to large and can be sliders or flip tops. 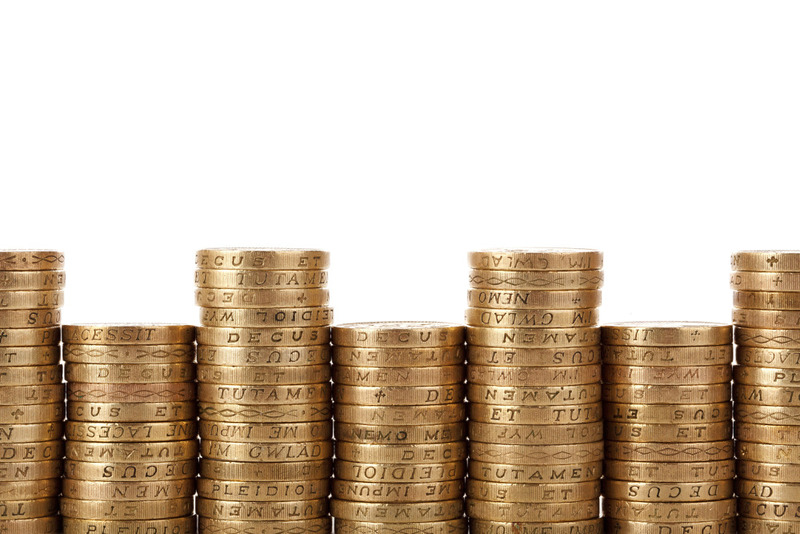 We can even supply cash drawers that are able to help with counting cash in the drawer at the till point for easy cash management within busy business outlets. Counting cash can be a laborious time consuming task and so by using a cash drawer insert that makes coin recognition easier it can be speeded up and streamlined. Ask for the different layouts available in your choice of till drawer. It is often at the busiest times that floats and cashiers are swapped over on the shop floor or bar area – a way to minimise loss of security is to use lockable lids for the cash drawer insert. This means cash is locked away securely during transit and can ensure money taken from the till is intact when it arrives in the cash office or managers office. A flip top till cash drawer range offers many retail stores such as convenience stores and corner shops a way of making the most of counter space. They often find these space saving drawers a boon. The drawers can handle large amounts of cash but don’t need to slide open into a counter area that is normally quite small and impeded. 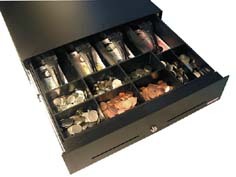 The drawers are also ideal as the flip top creates a barrier between the money and the customers. 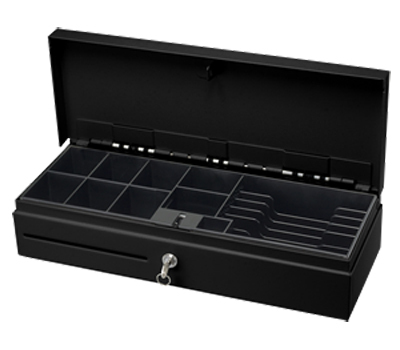 If space is an issue we can offer smaller sliding cash drawers – in fact most apertures can be covered but make sure you buy the drawer before you commission the carpenter! If you don’t have an integrated till system then you can still use a standalone cash drawer where you can push to open and push to close or operate with a key – and it can even be locked for security. 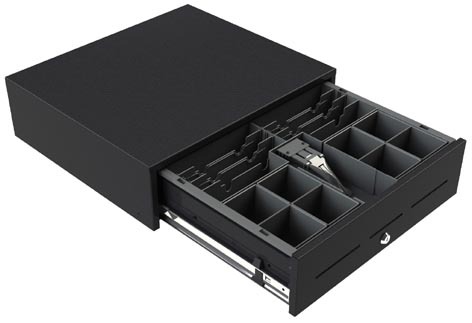 These drawers are ideal for someone who may need an extra cash drawer or hasn’t room for a traditional till system. Whatever your requirements for a till drawer Business Reply can help – we can give an up front quotation for you and can advise on the options available. This can be a cheap way of changing your till layout and operation without replacing the whole system. Please just ask – we’re happy to help.